If you rely on glasses or contact lenses for vision correction, you are already familiar with the expense, inconvenience, and discomfort they can present. They can be restricting for both work and play. One alternative is surgery, but this option comes with certain risks and not everyone is a suitable candidate. Now you can be free from glasses and contacts, without surgery. With Overnight Sight you can enjoy life with clear, natural, 20/20 vision. And best of all, Overnight Sight can prevent further vision loss! Eyeglasses are a medieval technology. There’s no denying that there have been great advancements from the first pair made in the 13th century. And since, this great invention has given millions of people the gift of sight. But, at the end of the day, you’re still carrying around metal and plastic on your face. Glasses break, get smudged, lost, crooked, fog up, slide down, pinch your nose, don’t match what you’re wearing and pose 99 other problems. Overnight Sight eliminates these problems. No more swimming blind because you don’t want to risk taking your glasses into the ocean. No more pictures with glare across your lenses from the flash. And no more kids coming home from school holding one half of their frames in each hand. Contact lenses solve many of the problems presented by glasses, but they also have a few of their own. Many people find that contact lens can be uncomfortable and irritable. Since contacts are wore throughout the day they can be easily bothered by dust, dry air, extended use and other circumstances. Overnight Sight eliminates these problems. Because the therapeutic lenses are worn while you sleep problems with discomfort are avoided. They allow you to correct your vision hassle-free while you dream and enjoy your day without any of the bothers associated with eyeglasses or daytime contact lenses. Laser eye surgery is one alternative to wearing glasses or contacts if you are a suitable candidate, but this option comes with certain risks. These procedures are irreversible and many people do not want to chance as something as valuable as their vision with elective surgery. 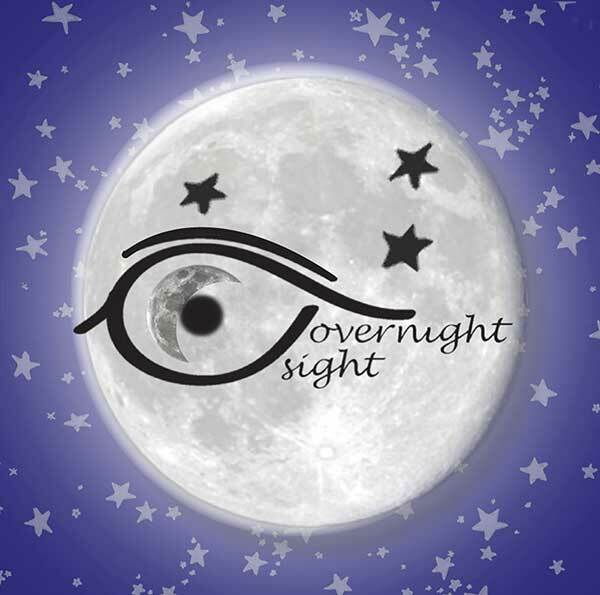 Overnight Sight does not permanently alter the eye. Once the therapeutic lenses are no longer worn, vision simply returns to its pre-corrected state without any lasting effects. The most exciting benefit of Overnight Sight therapy is its ability to treat juvenile progressive myopia. Myopia, commonly known as nearsightedness, generally worsens in children while they are growing, causing their prescriptions to increase over time. This phenomenon is called juvenile progressive myopia. Juvenile progressive myopia can be costly. If your vision is constantly worsening you’ll have to buy new glasses every year to keep up with you prescription. Financially, that can take its toll. But what’s worse is that juvenile progressive myopia can lead to blindness and other complications. Glasses and contact lenses only work to offset the negative symptoms of progressive myopia, but Overnight Sight works to prevent this disease.